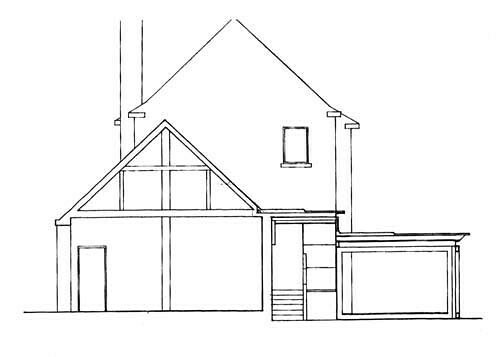 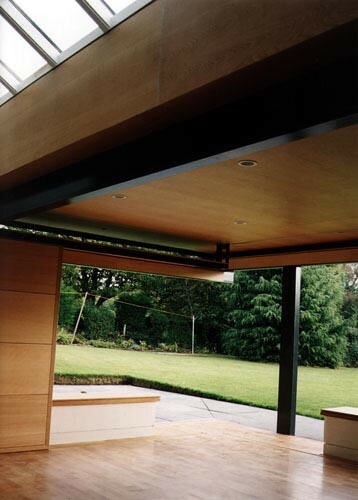 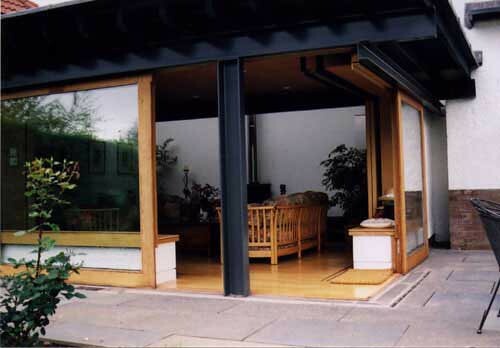 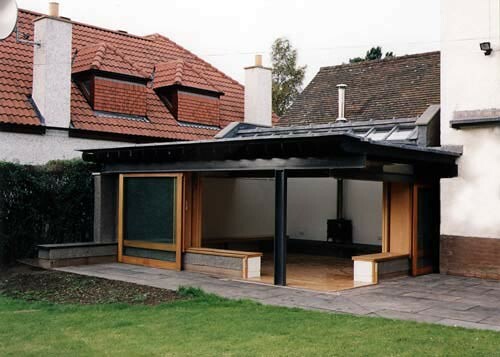 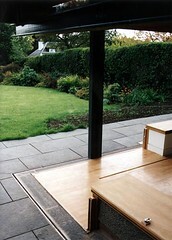 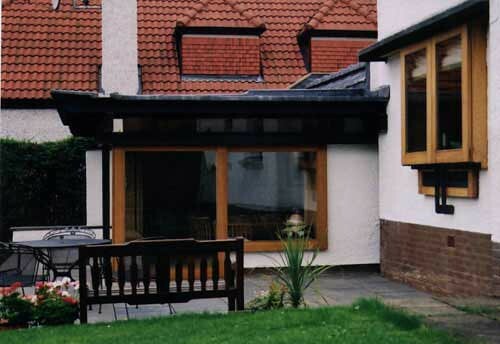 Our project at 21 Essex Road, Barnton, is a classic house extension to a 1950s house in a suburban part of Edinburgh. 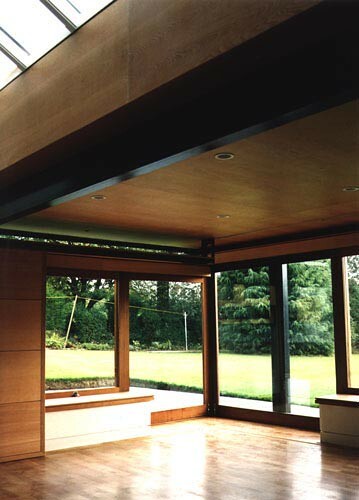 The project foresaw the enlargement of the existing living room and the creation of a new garden room which could be used both in winter and summer time. 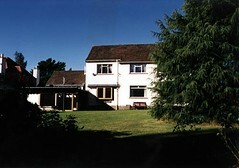 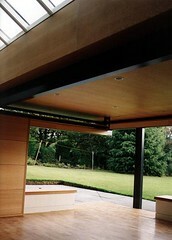 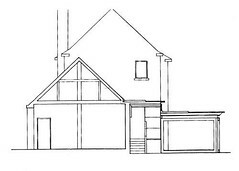 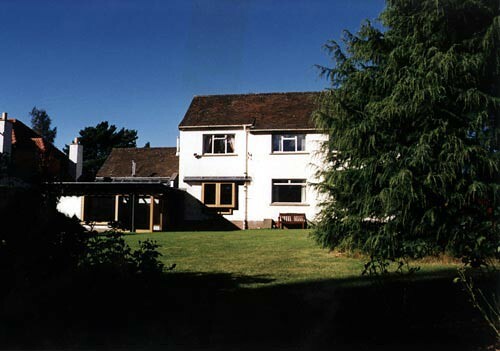 The garden room is placed on the extreme western side of the house on the rear of an existing garage, and hard up against the boundary with the adjacent house. It consists of two walls of sliding glass windows which when open disappear to open the entire room to the garden. 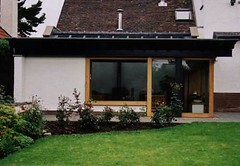 Also within the space are insulated shutters which close the windows off in the winter time. 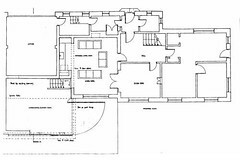 Light is admitted to the rear of the room via a rooflight, where there is also found a log burning stove and a passageway to the existing living room. 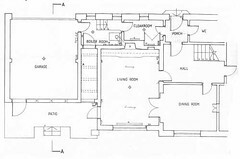 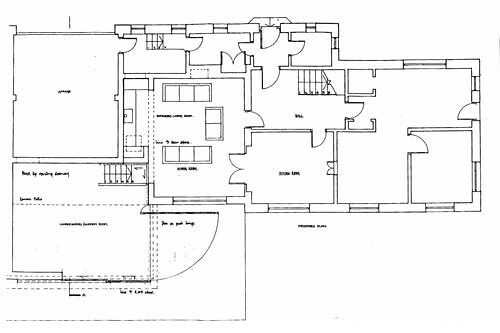 The living room was extended by the inclusion of an "inglenook" where a disused oil tank had previously been stored, and this inglenook has a hidden source of light from above. 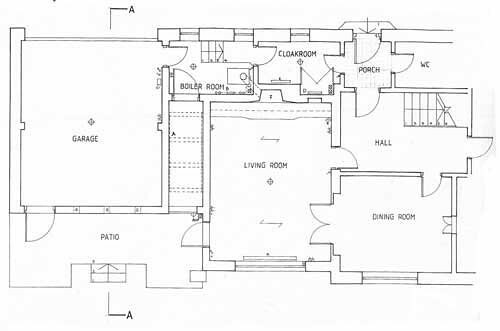 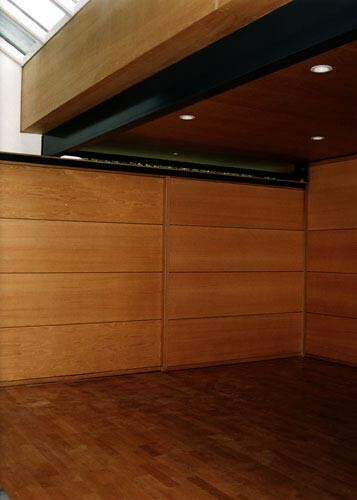 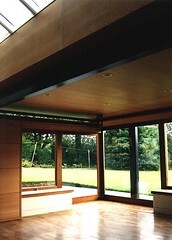 The two rooms are interconnected and can be closed off in the winter time with a system of sliding panels and doors.